How to back up iPhone ringtones to PC? 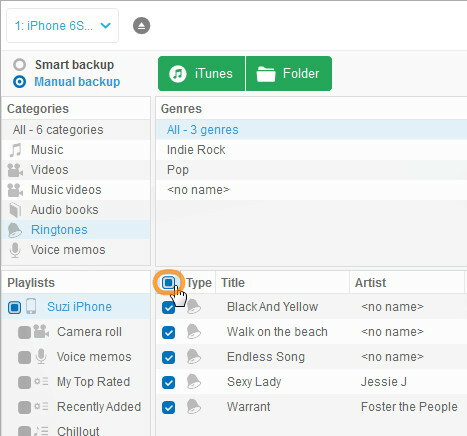 Home » How to back up iPhone ringtones to PC? You may wish to have a safe back up of your custom iPhone ringtones before updating the iOS version or before moving to another phone. 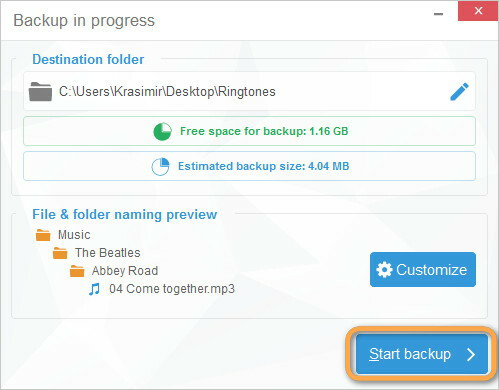 Whatever the case, this quick tutorial shows how to back up iPhone ringtones to PC without the need for iTunes. 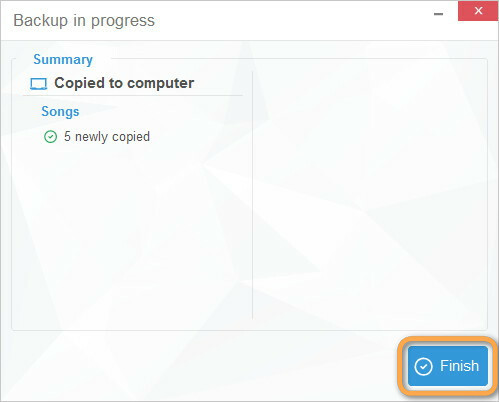 Start CopyTrans and connect the iPhone to the computer. The program lists all iPhone songs, videos and playlists. 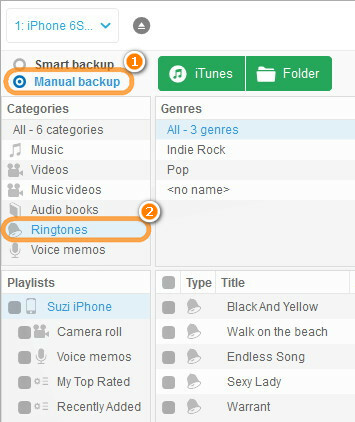 Choose “Manual backup” on top, then select the “Ringtones” category. 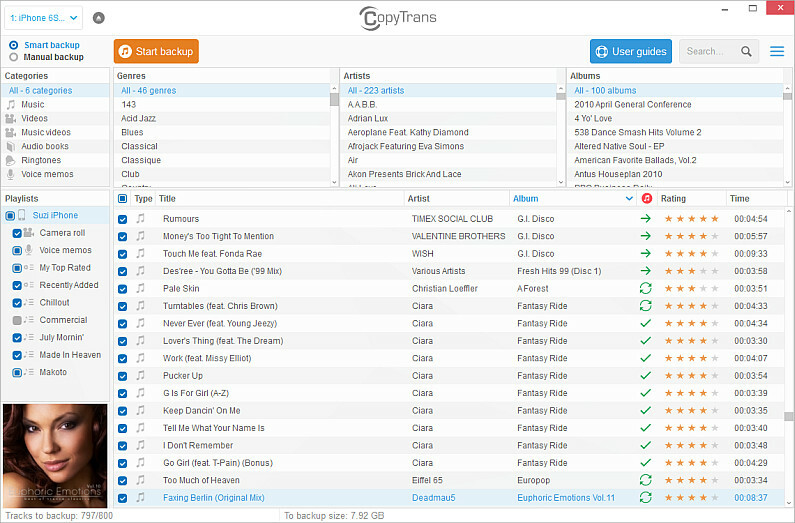 CopyTrans now lists all custom ringtones on the iPhone. 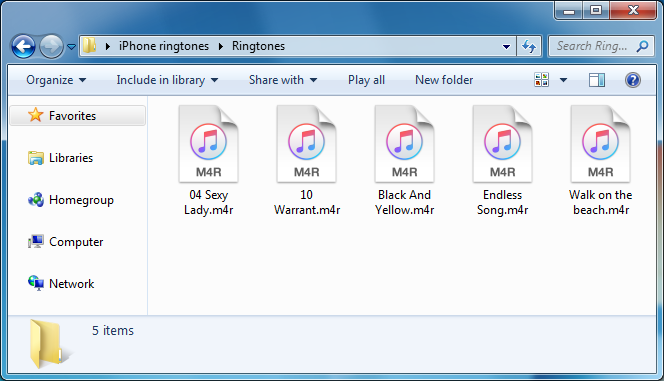 The iPhone ringtones are saved to the PC folder of your choice in individual .m4r files. Enjoy!